The Connecticut Whale were defeated by the Bridgeport Sound Tigers, 4-3 in overtime, Sunday afternoon at the Webster Bank Arena. Matt Donovan scored the game-winning goal for Bridgeport with two seconds left in overtime with the Sound Tigers on the power-play. Andre Deveaux, Mike Vernace and Tommy Grant each scored for Connecticut. 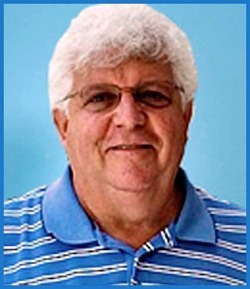 “It’s obviously getting a little redundant, pretty frustrating to come in after games and say your margin of error is going to be so slim and they’re going to be one-goal games, you’ve got to do a little better job securing the puck,” said Whale head coach Ken Gernander. After being shut out by the Springfield Falcons at home for the first time in 15 seasons on Saturday night, Connecticut Whale coach Ken Gernander almost completely shuffled his deck Sunday afternoon. Gernander changed all four lines, two of the three defensive pairings and started Cam Talbot in goal for the first time in 11 games since Feb. 19. There are a multitude of ways to lose in any sporting event, and the Connecticut Whale have certainly explored many of them this season, but Saturday night’s 2-0 loss to the Springfield Falcons at the MassMutual Center in front of 5,003 was in no small part due to some of the most bizarre officiating certainly of the season and possibly longer than that. Sunday afternoon in Providence the Connecticut Whale could not find an answer for Carter Camper who’s hat-trick sealing third goal sunk the New York Rangers’ AHL affiliate 4-3 at the Dunkin Donuts Center in front of a raucous crowd of 10,951. After Kelsey Tessier lifted the Whale out of a second period daze with a dramatic goal to erase what was a two-goal deficit and knot the score at three just 1:55 into the third period. The Whale picked up their game and kept pushing for more, but Camper, a Rocky River, OH native, followed up a Calle Ridderwall rebound off the chest of Cam Talbot (11-12-0, 35 saves) and backhanded it into the net for the game winner. THE PLAN IS COMING TOGETHER. Posted on February 19, 2012 | Comments Off on THE PLAN IS COMING TOGETHER. Much like Ronald Reagan’s trickle down economics, the same seems to be the case with the Connecticut Whale. After a horrendous January where they were winless, going 0-6-3-2, the Whale benefitted from the conditioning stints of Wojtek Wolski and Jeff Woywitka and won five of their first six games in the month of February before dropping a 2-1 loss to Bridgeport last Sunday. Comments Off on THE PLAN IS COMING TOGETHER. The late, great Gilda Radner’s character, “Roseanne Rosannadannna” used to say to great laughs, “If it’s not one thing, it’s another…” Those words rang very true Saturday night for the Connecticut Whale, but nobody was laughing as the New York Rangers’ top farm team dropped a 2-1 decision and lost their eleventh straight (0-6-3-2) to the Springfield Falcons before the season’s second largest crowd of 11,181. The RMS Titanic sunk about 400 miles south of the Grand Banks of Newfoundland after hitting an iceberg on April 15, 1912. 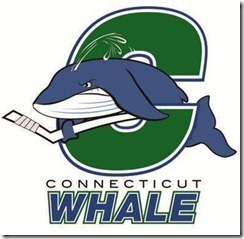 Almost 100 years later, The Connecticut Whale sunk to the bottom of the XL Center Friday night after an Icecap stick hit and deflected a puck into the net in overtime for a 2-1 loss and sent the team to the murky depths of an eight game losing streak, (0-5-2-1). In 1945, Ray Milland starred in a film called, “The Lost Weekend” about an alcoholic trying to get a hold of his issues only to succumb to a four-day bender where all of the issues that were plaguing him rise to the surface. 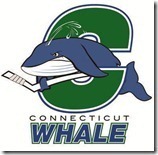 In many ways, the Connecticut Whale have been flirting with disaster since early December. 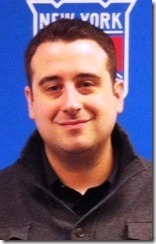 However, over these past four games, starting with Monday night’s game in Portland with the Pirates, through the loss in Binghamton Friday to the Senators and now back-to-back defeats Saturday and including Sunday’s 4-2 loss to the Springfield Falcons would certainly qualify at very least as a wake-up call that some sort of a hockey equivalent to a Twelve Step Program is necessary. Whalers Sports & Entertainment announced today that Connecticut Whale fans can pick up some collectible goodies at Whale home games January 27 and January 28, which will be “Trading Card Weekend” at the XL Center. Connecticut Whale head coach Ken Gernander does not handle losing well and it is almost a certainty that he was beside himself on Monday afternoon at the Cumberland County Civic Center after his Whale amassed a three goal lead over the Portland Pirates through the first 36:12 only to give it all back over the final 24:48 before eventually succumbing to the home team 5-4 in overtime on Nathan Oystrick’s second goal of the game. Over the first period and a half, the Whale built a 3-0 lead on two goals by from Kelsey Tessier and the fourth goal in as many games from the AHL’s Reebok Player of the Week, Kris Newbury.